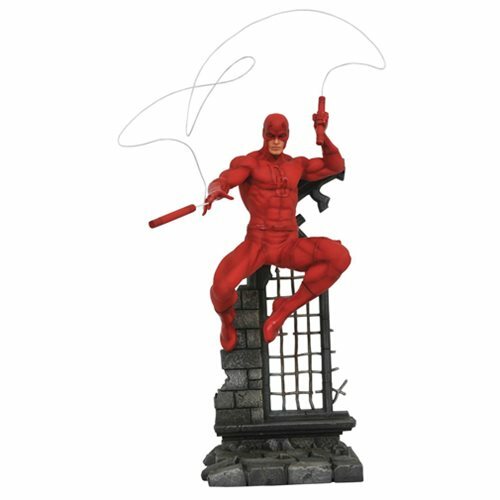 Based on his comic book appearance, this PVC statue of Daredevil shows the Devil of Hell's Kitchen leaping from a church rooftop and letting fly with one of his billy clubs. Measuring approximately 11-inches tall, this figure is in scale to all Gallery and Femme Fatales PVC statues (sold separately), and comes packaged in a full-color window box. Ages 14 and up.